Transportation is a vital part of every business especially those who specialize in physical goods. There is always the need to move the goods from the point of production to the points of wholesale and retail distribution and to the final consumer. This is where granite hauling business comes into play. It’s worthy of mention that transportation is the difference between source (factory) and destination (consumer). It’s on this realization of the importance of transportation to every business that specializes in physical goods that some people have created a business niche for themselves in the transportation industry. They specialize in shifting goods from one place to another. Among these transportation entrepreneurs, some have specialized in general transportation business while some have specialized. A good specialization in the transportation business is the haulage business. In granite hauling business, you involve in transporting granites from one location to another, mostly from the point of mining to the point of use. You can start a granite hauling business and earn some good money from it. This business is one business that will always remain viable and profitable as long as construction works do not cease because granites are a major material used in construction. You know so well that construction of new structures will always go on in every part of the world. To start granite hauling business, you do not need heavy capital like other businesses. You only need to have enough money to do the necessary registrations and make a truck available for jobs. You can purchase a truck if you own the money but it’s not a must; lease a truck if you can’t purchase one. You can start by leasing trucks and in no distant time, you can grow to own fleets of trucks of your own. This business is surely profitable. If you really want to start this business, all you need to do is to read through as I guide you on the vital processes to start this business from the scratch and build it really big within a short while. This is the first step to take in granite hauling business. Research as much as required and as constantly as required. This act of research will give you vital information and knowledge that will aid you in establishing your business and staying up competitive. There are various sources that can present you with vital information on this business, they include the internet, publications of other haulage firms, and radio and television programs on the topic. Always stay abreast of information. That may just prove to be the difference between you and a failure in the business. Do draft a business plan to define vital issues like how you want to start a granite hauling business now, where you want it to be in the nearest future and the various measures that you wish to take to bring it to fruition. If you lack the knowledge on how to go about this, you should hire professionals who can help you out with it because of the importance of this document to your success as a businessman. You can find these professionals on the internet or near you. Visit freelancing sites and you find a good number of them. Though this business does not require a fortune to start, you may still find yourself cash trapped in trying to get started. In this case, you can approach your close affiliates or some banks and financial institutions that would be willing to offer you some loan at a cheap cost. Another good option you have here is presenting your business plan to some angel investors who may decide to fund your proposed business if your plan is convincing enough; the more reason you need to hire experts to put up your business plan. Register your granite hauling business to give it some credibility and not let it seem a scam. This will also help you expand your clientele base from private individuals to corporate bodies who will always demand the necessary documentation before they can patronize you. Approach the corporate affairs commission or the chamber of commerce and industry to register your company. You cannot operate granite hauling business with any form of illegality even as little as not having a driver’s license. This is because you are going to be driving on the road where the necessary authorities will always stop you to carry out a routine check on your documents. Not having a driver’s license renders your driving illegal and can lead to the impounding of your business along the way. This can destroy your business reputation. Consider where your vehicle with goods to deliver is impounded for days. The truth is that your client may end up suing you for damages and this kind of incidence add up to destroy your business reputation. So, ensure all your documents are complete and up to date. You have to acquire the best kind of truck with some guaranteed durability. This is where you have to seek counsel from those who have been experienced in the field. You should purchase a new truck if you have the funds, if not you should either go for the fairly used ones or get some lease. 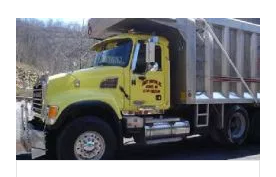 Finally, you have to market your granite hauling business properly in order to get business deals. There are a couple of ways you can do this. You can involve in networking to meet new customers through attending business dinners and functions. You can also employ the internet in this regard by blogging about granite haulage and placing targeted ads on social media platforms. Printing and distributing of business fliers and brochures about your business can also do the magic here.